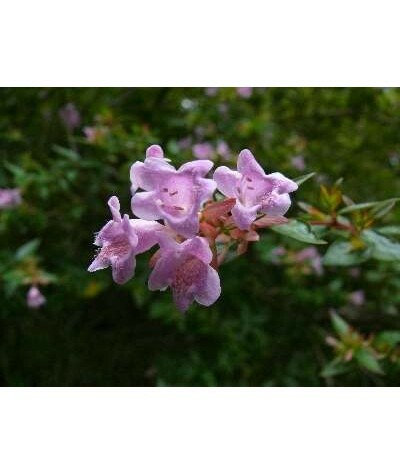 This is a small, evergreen shrub with stems and leaves that have a purple tint. Stems can have a strong purple colouring. 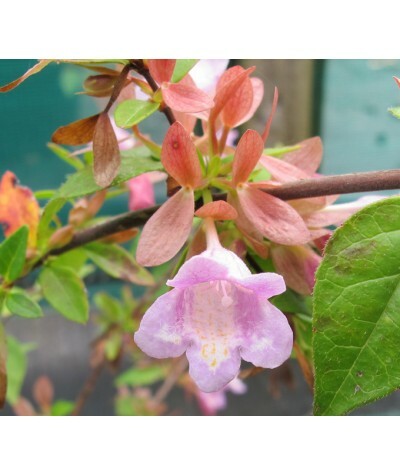 Leaves are lance-like in shape and the plant has creamy-white flowers with ..
Zig-zagging stems with lacy lime green foliage darkening with age with glaucous green undersides that curl round on themselves.. 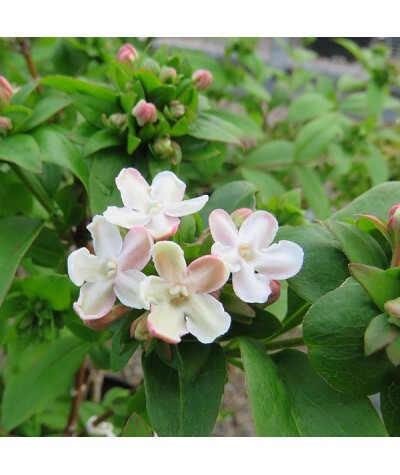 Occasionally, scented white flowers are produced in panicles in .. 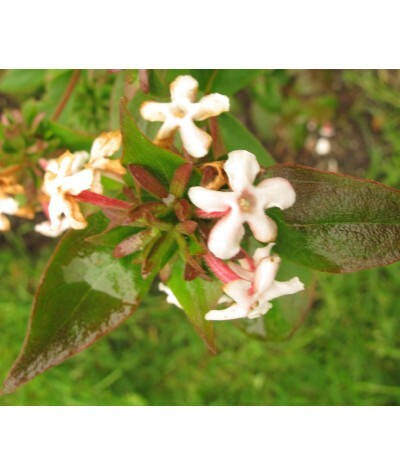 Dark green, needle like foliage with upright racemes of pure white flowers with chocolate brown anthers from January to April. Height 25cm Spread 45cm. 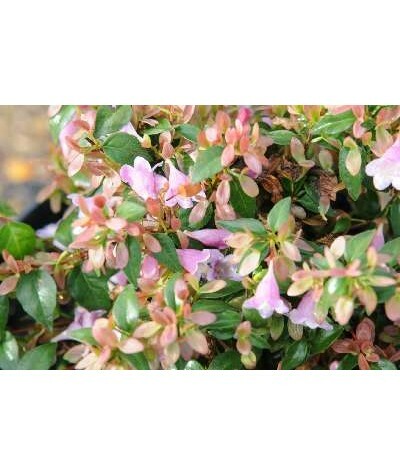 Beloved by beesand a vital source of..
A compact dome shaped hebe with small glaucous green leaves. Small terminal clusters of white flowers in summer. Height and spread to around 60cm. .. 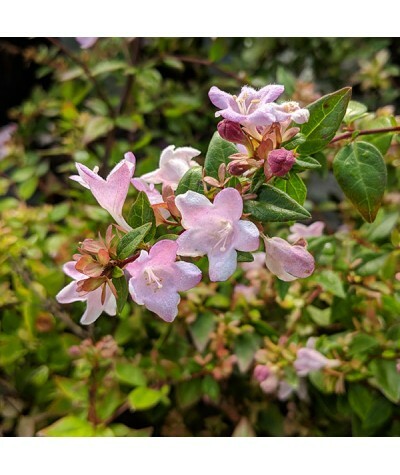 Medium sized shrub with terminal panicles of fragrant white, flushed pink flowers from mid to late summer. Glossy dark green foliage. Deciduous. Prefers full sun and shelter from cold winds. 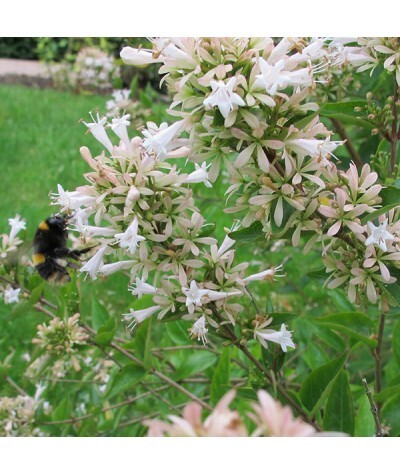 ..
A profusion of lightly scented lilac pink flowers from June right through to autumn. Height and spread to around 1.8m x 1.5m. Semi-evergreen. 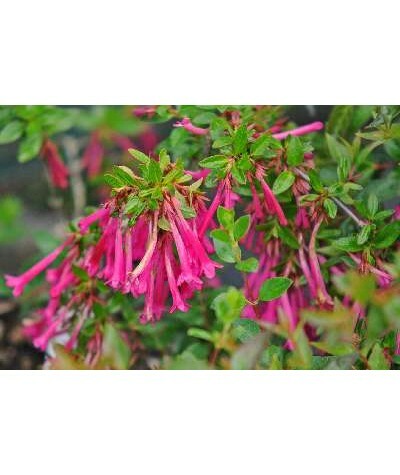 Best in fertile well drained soil sheltered from strong..
A profusion of brilliant cherry red tubular flowers in Summer. Good, well drained soil in sun. Sheltered. Semi-evergreen. Height and spread to around 3m x 2m. .. Beautifully scented white flowers from pink buds in early summer. 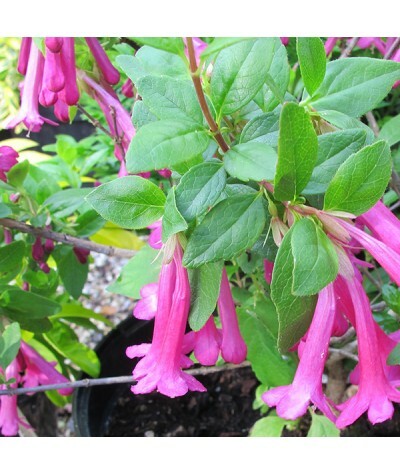 Noted for its hardiness it matures at around 6ft. The green leaves through spring and summer turn to burnt oranges and reds in Autu.. 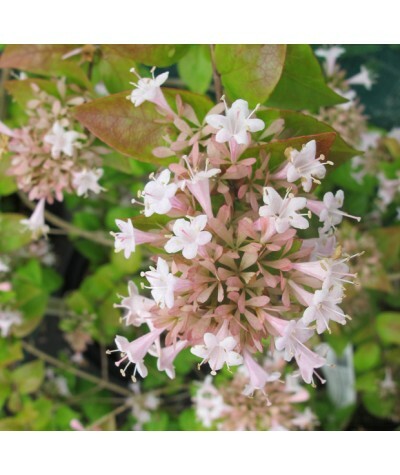 Pale lilac, lightly scented funnel-shaped flowers from midsummer well into autumn. Arching branches of glossy dark green leaves. Semi evergreen. Any soil in full sun. Shelter from..
A profusion of pink backed white scented flowers from mid to late summer. Height to and spread to around 1.5m. Good soil. Sheltered. Semi-evergreen ..